I joined the track team my freshman year of high school because I wanted a t-shirt. "Fast Girls Have Good Times." I didn't run again until four years later, when a friend and I decided we wanted to start. Our first time out, we made it five minutes and vowed to keep at it until we could run for at least thirty minutes straight. We spent the next few months adding a minute every time. The first time we ran thirty minutes without stopping, we couldn’t have been prouder. I continued to run off and on throughout college and after graduating, never running longer than three miles. In 2009, a friend ran the Oklahoma City half marathon, and I wondered if I could run a half marathon too. I thought about it for a year and finally registered for my first half in 2010 at the urging of a friend, who said she’d run it with me. I honestly don’t know if I would have had the courage to sign up if it hadn’t been for her. I fell in love with running in 2013, when I started training for my first marathon. That’s when it became something I did for fun. I love talking about it, writing about it, and doing it. And I can’t imagine my life without it. Include links and pictures if possible! I've been majorly crushing on these shirts for a while now, and I'm kind of jealous I don't get to enter this giveaway. Check out our sponsors, and then enter using the Rafflecopter below. Good luck! *Update 2/23: The Linky Tools server crashed and apparently took all the pictures with it! But the links are still good. Sorry about the lack of lovely link pictures! Thanks so much for hosting, Amanda! You are such an encouragement to so many other runners! I linked the "How I Became a Runner" post that I wrote this fall, but with future participation would write fresher content. Thanks again! That's a funny thing to put on a shirt for high school girls. I was so excited about this that I did my post a few days ago....and am already working on my March post.. Dork? Yes. Heck no! You're awesome :) Thanks so much for linking up! I keep reading your running posts thinking it's going to get me running again. And I'm sure I will, especially when the snow melts and the next polar vortex passes through, but I just don't know that I'll ever love it. For real, though. WHEN will the vortex pass?! Come on. I just want to run outside again! That first half-marathon; there's nothing quite like that feeling is there? ps. I want that T-shirt (the one you got in high school) … Also the give-away one! I'm still convinced you all were out to get me with this one. 250 or less? RIDICULOUS. Um, I love that shirt!! This is my first official running blog post! I am training for my first half right now! I love your blog. Thanks so much, Becky! And YAHOO! "F-A-L-O-N-S....you put the C in the middle and you got the best!" HA! And loving the link up already!! Thanks for hosting. True story...I once caught a shirt during a very large 10k race that said "Body by Moe's". It was an extra large--but I thought it was hilarious so I carried it the whole remaining 5 miles for judah! lol. 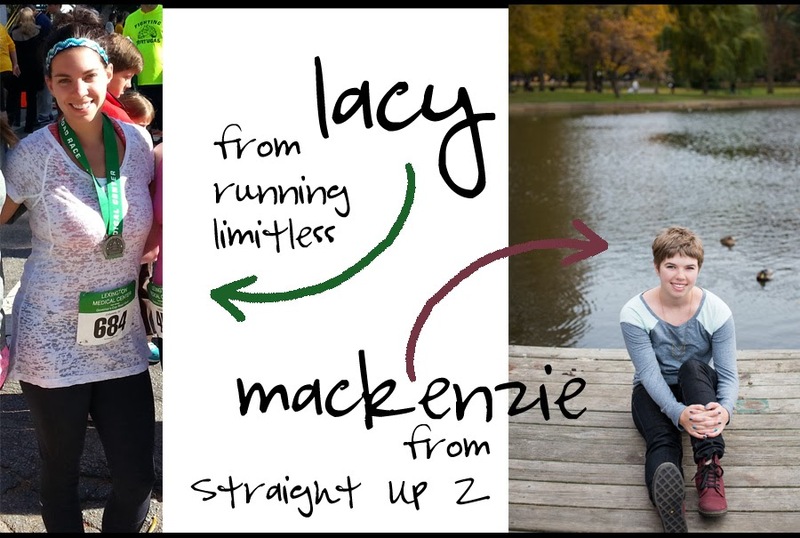 I am nervously excited for this link up - I decided yesterday that I could officially label myself as a runner, to no longer be afraid of that label. This link up is happening at the perfect time! I love that shirt!!!!!!!!!! & this link up idea. Like a LOT!!! I can't wait to sponsor one of the months!! Haha I think it's awesome you started running for a T-shirt :) Thanks for hosting this, it's been fun so far! Ugh, so I did this wrong already! How do I edit my link? I don't think I ever truly realized how you started your running, so this is truly inspiring! I HATED running in high school...I did track (but did sprints/hurdles, couldn't do a long run to save me)....I just recently (the past 4 years or so) took up distance running and have run 2 (about to do my 3rd) half-marathons. I really want to do a marathon one day, but I am TERRIFIED and honestly have no idea if I will be able to. But you just inspired me!! Thanks for doing this! Now I have to go run!! I just linked up after a friend suggested I might want to! It was fun! I'm so glad you did, Deb! Woohoo! Love this link-up and that it's monthly so it doesn't feel forced. Excited to meet other runners! 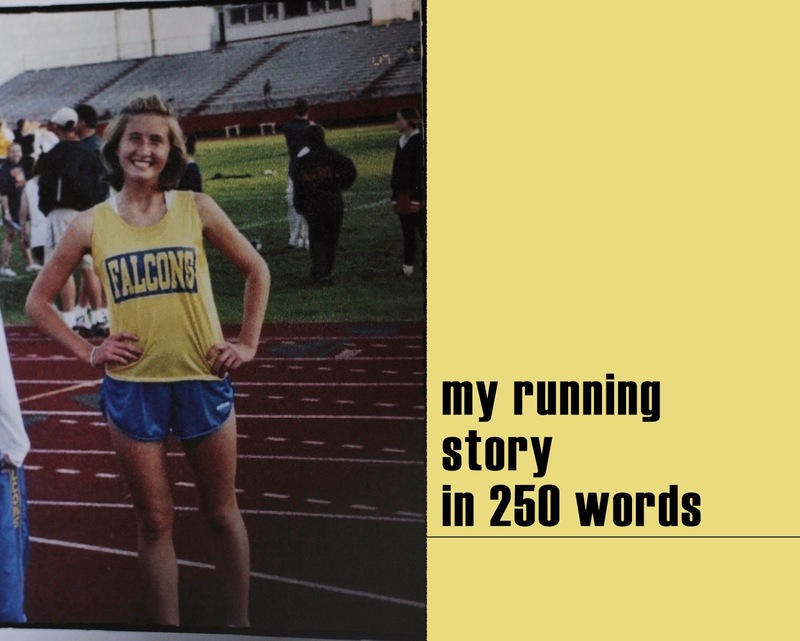 I love the idea of this link up and have made a note to write my running story this weekend. I'm not a woman of few words so the 250 word limit is going to be a challenge! I'm excited to read some new posts and find some new blogs. I love the "fast girls have good times" shirt--I would totally go for one of those and I'm long out of high school! I'm excited to jump in and read everyone's posts. I have to say that I'm glad you didn't love running right away--I didn't either! Yaaah! First link up month - congratulations. Loved it! Got my post up in time but was a little slow linking... Oops! I love the 'Fast Girls Have Good Times'... Hilarious! What do slow girls have?? I love that you added on a minute every time you run! Definitely a good progress tactive for beginner runners! Love this link up and the giveaway! I'll be posting my story on Tuesday! This is so much fun! I love reading running stories. Thanks for setting up such an awesome link up - it's such fun to read everyone's stories. 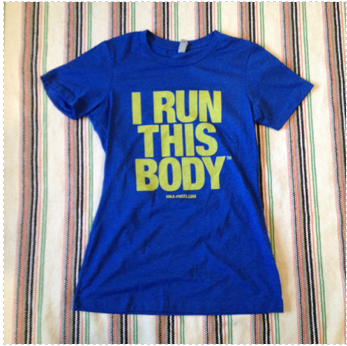 I also love the fact that you started running because you wanted a tshirt. Who knew where it would lead you!